Our company main activity is the cooking of octopus and seafood , our aim is to obtain the higher standard of quality. 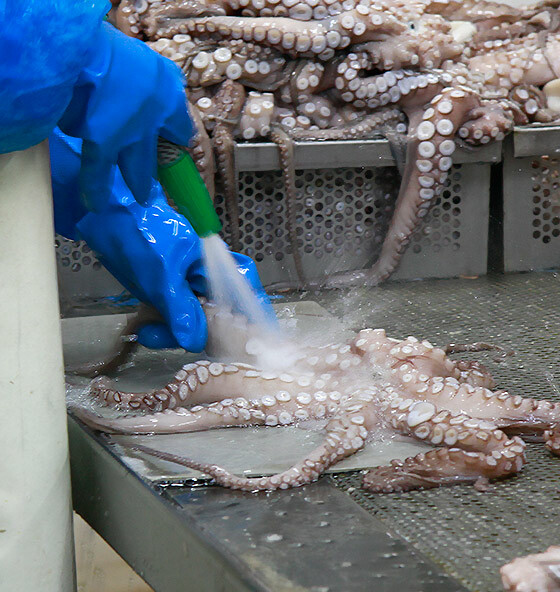 We are focused in providing only constant high quality, COCIMAR stands out from our competitors by using traditional methods in the cooking and the best raw materials with the latest technologies for processing and shipping , ready to consume cephalopods , seafood and fish in general. Using the best raw materials and artisan methods of cooking without preservatives. We suplly our customers with the best fish and seafood from the best harbours of the country. Enjoy the best sea products in only one click. Buy on line and receive it comfortably at home. Values: We have an excellent human team, committed and involved in the developed activities, we have settled a continuous improvement policy. Quality: Our quality department control, watch, and verify that the more rigid quality rules are fulfilled all along the productive process. Why: we offer a wide range of competitive products , elaborated , packaged and delivered with the most innovating technics in the market.